We offer you here a Salami deer type approx. 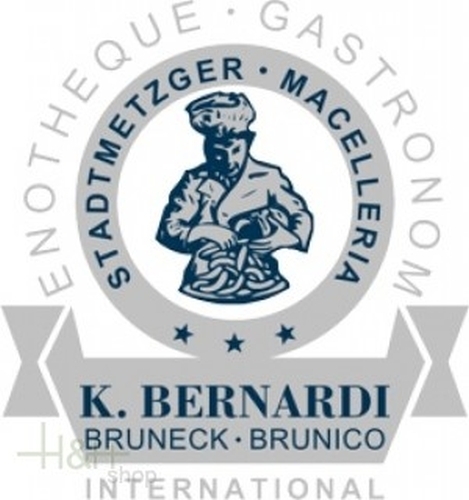 190 gr., made the town butcher's shop Bernardi Karl in craft way after traditional recipe. "We give to the nature the time which requires to the tyre!" In South Tirol where the deer belongs to the home venison a well spicy deer salami may of course not be missing. 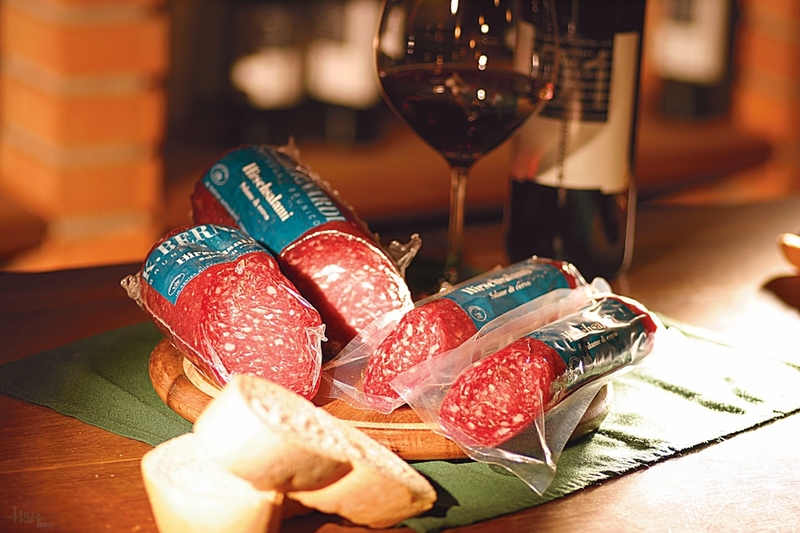 Deer salamis differ the "Hirschwurzen" already in optical regard, in the essentials, however, by special mixed herbs as well as the natural maturation in our 100-year-old natural stone cellars. After the achievement of the optimum ripeness and the following removing of the bowel, we pull the product under vacuum to guarantee such an ideal cut firmness. ready for shipment: in ca. 5 days South Tyrolean Salami chamoix type Gruber approx. 220 gr. Ausgewogenen Geschmack.die Qualität ist Super.